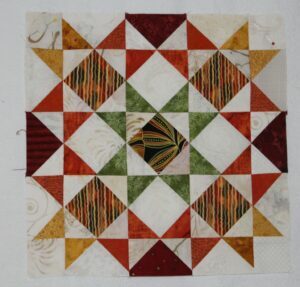 The second block in the Long Time Gone sewalong is Square in a Square Stars. I used Nicole’s block as inspiration for my block. The multi-colored striped fabric will be the sashing – if I have enough of it. I think I mentioned this before, but I think this is going to be one of my favorite quilts when it is done.